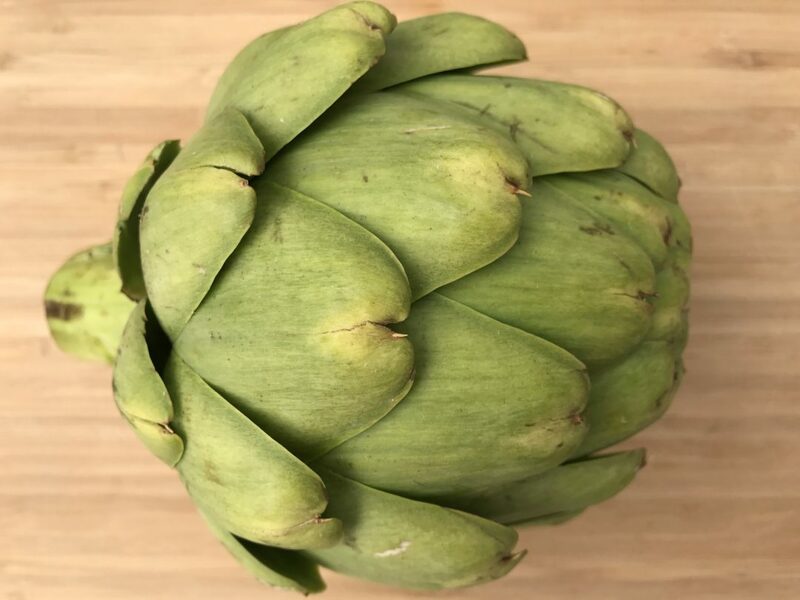 Since I was a young kid, I have always enjoyed artichokes. I liked them because, unlike everything else I ate, they did not require a fork (and obviously the melted butter too!). 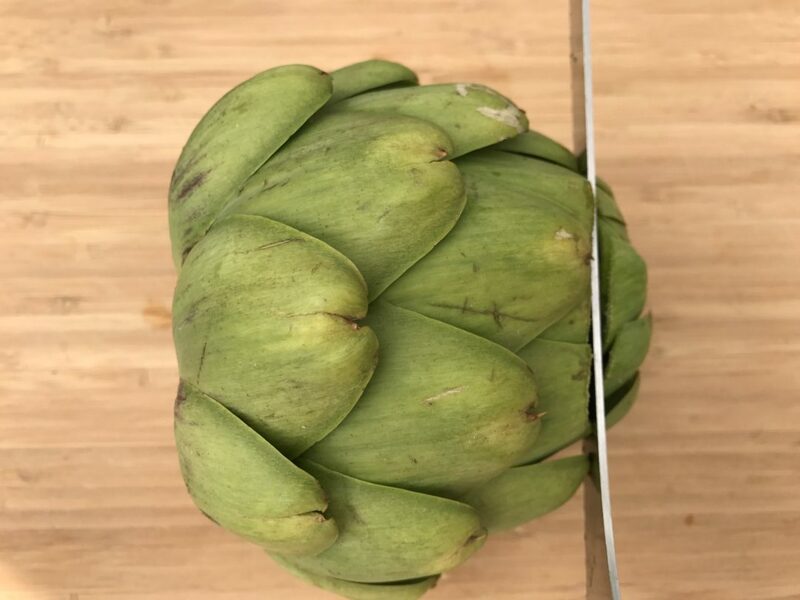 Now I make artichokes often. My kids now enjoy them for the very same reasons. 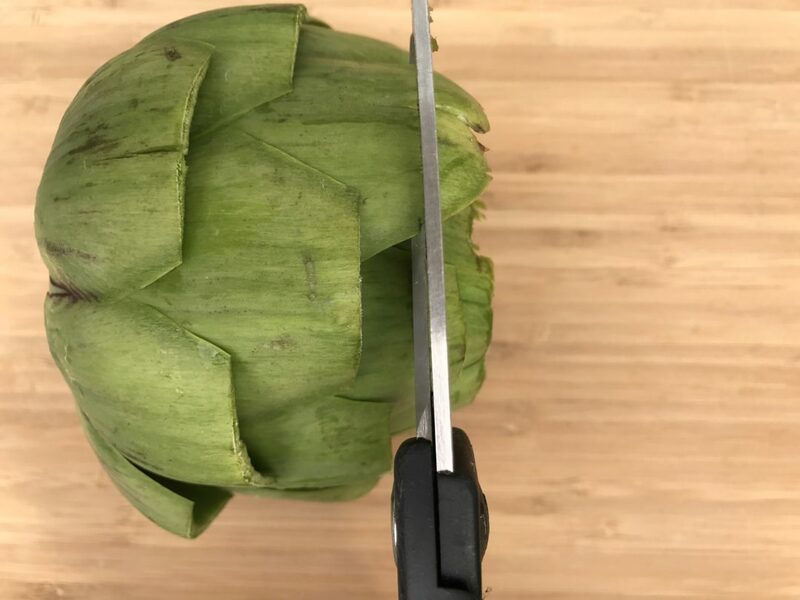 It was not until I was a grown-up that I learned the proper way to trim them. Life changer. 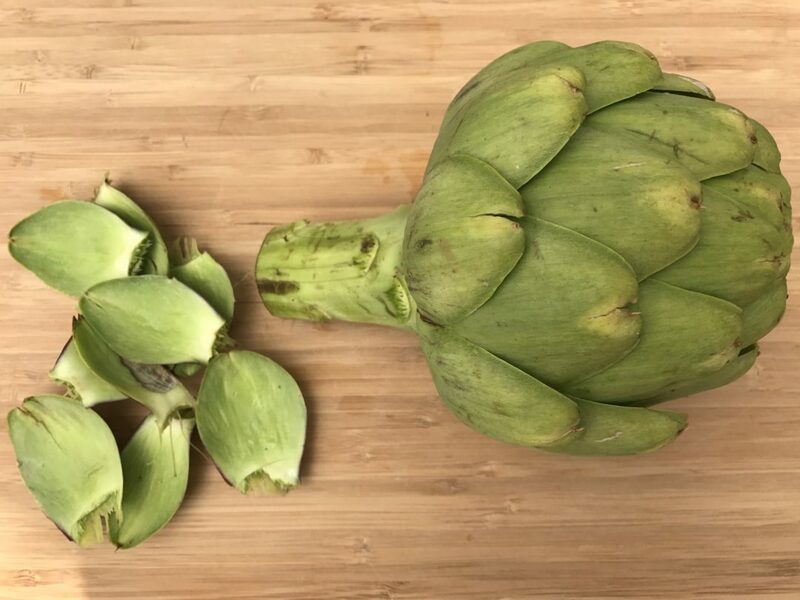 A simple technique, but your family will thank you for not getting poked by the prickly tips anymore. Step 2: Using a chef’s knife, cut off the stem, creating a flat surface that will allow the artichoke to stand upright without tipping. 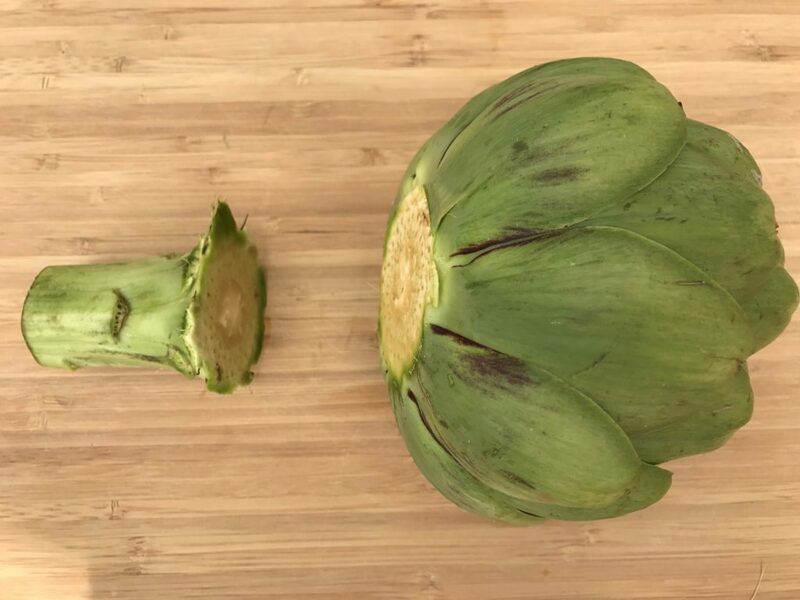 Step 3: Using a serrated knife, cut off the top quarter (or so) of the artichoke. 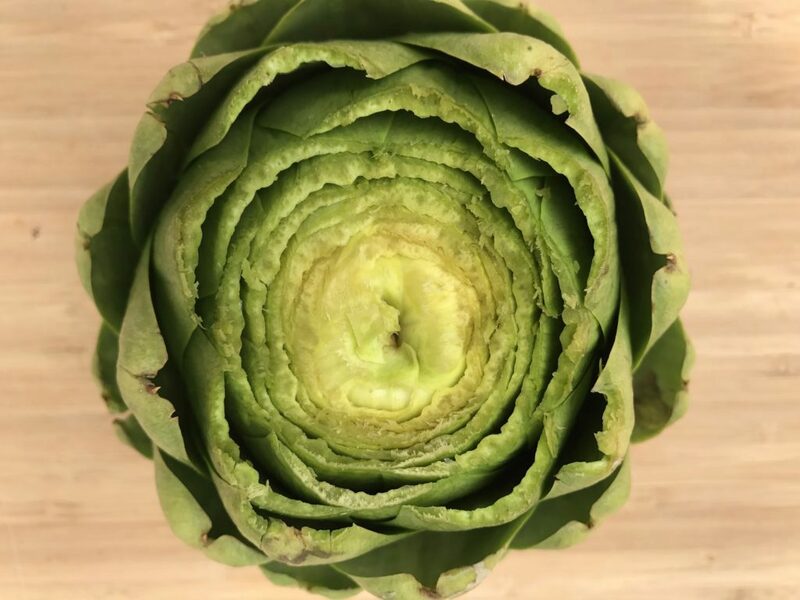 Step 4: A birds-eye view of the artichoke will show the inner layers of leaves. Step 5: Using kitchen shears, carefully trim the tips of each accessible leaf, removing the pointy tops and replacing them with a flat edge.